Mousetalgia welcomes Academy Award-nominated and Emmy Award-winning composer John Debney to the show today to talk about his score for Jon Favreau’s “The Jungle Book,” as well as his incredible career and history with the Walt Disney Company – from his start at the studio with Buddy Baker as a mentor, to his recent collaboration with legendary songwriter Richard Sherman to work on songs for this new score. 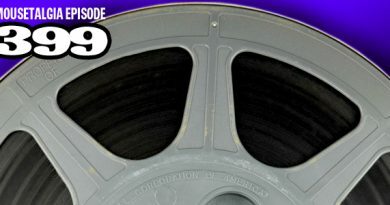 Also, Jeff discusses “The Jungle Book” and shares initial reactions to the groundbreaking film. 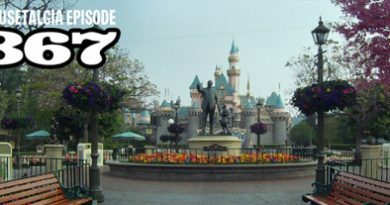 Then, Kristen reports on Disneyland Resort’s Food and Wine Festival, and discusses the variety of booths, the food options, and the best bites she encountered at the event. Finally, we return to talk about Disney’s “Ghost Post” subscription experience, and Kristen describes the in-park elements of Disney’s first interactive box of souvenirs as she follows the cry of the Haunted Mansion ghosts for help with their predicament. Plus – Hallmark’s iffy Disneyana; a Life Magazine special on Walt Disney; new Disney Cruises announced; Disney and Record Store Day – and more!